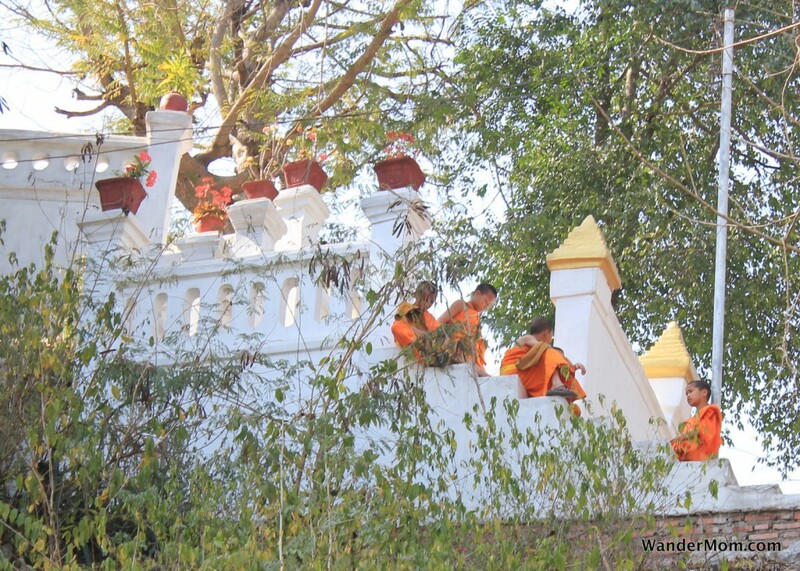 I think of monks as having to live a serious, contemplative life – I love the idea of these young boys sitting up on the roof chattering and giddy like the children that they still are – shatters my illusions of what I thought their life would be like. And the colours are great!! Absolutely fabulous shot – speaks volumes!